Matt Olesh is an experienced commercial litigator with a diverse business practice. In addition to consulting with clients in an effort to avoid litigation, Matt is a seasoned advocate for them in federal and state court. Matt employs a pragmatic approach to litigation using strategic decision making and problem-solving, sophisticated legal analysis, and efficiency to obtain favorable outcomes for clients without breaking the bank. In addition, Matt handles professional liability cases, attorney ethical issues and disciplinary proceedings. Over the course of his career, Matt has successfully obtained results for clients, including complete dismissal of cases in their favor, defeating requests for injunctions, and getting injunctive relief when necessary. In addition to litigating high profile, “bet the company” cases, Matt is an astute negotiator and has negotiated favorable resolutions to complex disputes. Matt has also handled and resolved internal investigations in order to avoid adverse government action, and successfully defended white collar criminal cases. Matt is well-versed in the field of alternative dispute resolution. He regularly represents clients in arbitration cases and is an experienced arbitrator with the Philadelphia Court of Common Pleas Compulsory Arbitration Program, oftentimes chairing panels. Matt has also resolved a number of cases via mediation. Matt is a strong advocate for pro bono clients, taking on cases in both state and federal court in matters that include child custody and prisoners’ civil rights. In addition, Matt prides himself on his professional and civic engagement and leadership. 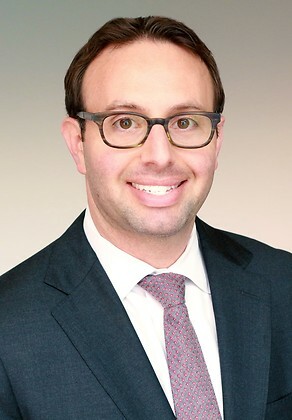 He currently serves as the Assistant Treasurer of the Philadelphia Bar Association and is the immediate past Chair of its Young Lawyers Division. He is also an elected Committeeperson for the 30th Ward Democratic Executive Committee, a director and co-founder of the Friends of Chester A. Arthur School Education Foundation, the co-chair of the Philadelphia VIP Recruitment and Retention Committee, and the Chair of the South Street West Civic Association. Defeated a request for an injunction to stop a $150 million development project. Obtained dismissal of claims with prejudice brought by professionals seeking forced induction into a hall of fame. Defeated class action claim of consumer fraud brought against manufacturer by obtaining denial of class certification motion and affirmance of dismissal on appeal. Obtained dismissal of claims brought under the federal RICO Act and 42 U.S.C. § 1983 in a complex, multi-party case alleging conspiracy between local government entities and operators of a professional sports team. Resolved U.S. Department of Education investigation into educational institution based on allegations of discrimination with no adverse action taken against client.